Marrybrown unveiled its newly renovated Batang Kali, Selangor, and celebrated by holding special giveaways to customers on-site. In celebration of its upcoming Curry Day, Old Chang Kee Singapore is also offering its Durian Curry Puff & Jackfruit Curry Puff for a limited time. 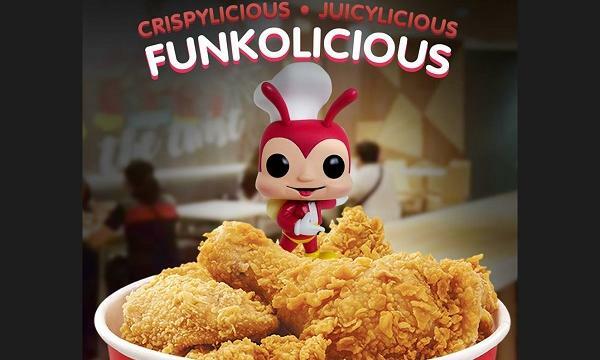 Jollibee announced that customers can now avail of a Jollibee-themed Funko Pop for PHP 650 when they purchase a 6-pc. bucket of Chickenjoy in selected Jollibee stores nationwide. Yellow Cab Pizza Co. unveiled its new Complete Combos: everyday rice meals for only PHP 199. Add PHP 40 to switch side dishes to Italian Red Rice, My Fries, or My Wedges. Customers can also add P59 for soda. 4Fingers Crispy Chicken unveiled its new “Pandan Fingerlings” snack. YOSHINOYA Indonesia unveiled its new Premium Topping Beef Bowls. Available in three flavours: Salted Egg and Japanese Nori / Broccoli and Egg Mayo / Rendang and Green Chili. 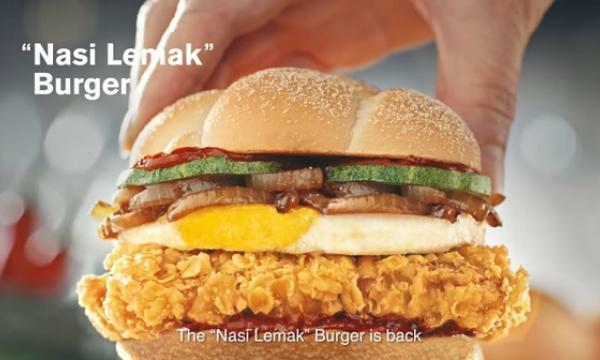 Hot & Roll Malaysia introduced its new limited edition Salted Egg Chicken Wrap. In partnership with Peppa Pig, BreadTalk Philippines unveiled its new Peppa Sandwich. Available in rich chocolate cream cheese, velvety strawberry cream cheese and a “surprise” sandwich flavor to be revealed soon. Available in selected stores only. Bo's Coffee announced that its Katipunan branch will be closed until further notice due to an electric short circuit in the store, which the company is currently addressing. Goldilocks is celebrating Nutrition Month by introducing its new Pinggang Pinoy specials: Sauteed Veggie, Chicken BBQ, and Fruit Gelatin. Prices start at P120. Wendy's Malaysia unveiled its newly opened store in Batu Feringghi, and offered exclusive promos to the store’s first customers. 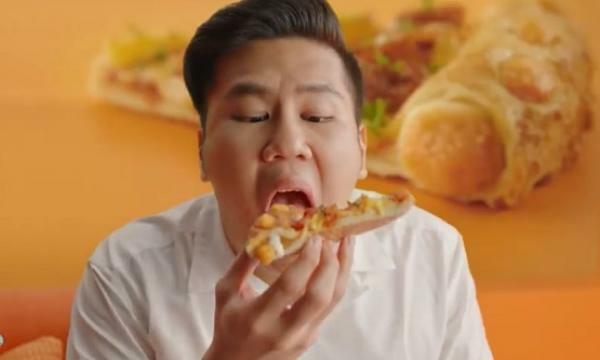 Burger King Singapore unveiled its new add-ons, the creamy Teh Tarik Pie. Crystal Jade HK announced that its followers can now avail of its signature La Mian Xiao Long Bao in Kowloon. The brand’s new Mongkok shop is located in the MOKO mall, featuring a “la mian” open kitchen with live demonstrations to delight customers of all ages. Starbucks Japan unveiled new face recognition “snow peach” photo stamps, available for a limited time. The brand also introduced its new American Lemon Poppy Scone. Domino's Pizza Malaysia offered its Super Combo meal with the new Blueberry Cheesecake Lava Cake for a limited time. Customers can also add RM7 to receive the hot & spicy Ayam-Haseyo. Shakey's Philippines offered 10% off of its Angus Burger Pizza to dine-in SuperCard holders. Kyochon Thailand offered its customers a 50% discount for a limited time. Yellow Cab Pizza Co. offered its customers an UNLIPASTA + SODA promotion for a limited time. On July 26, customers can get Unlimited Charlie Chan, Spaghetti & Meatballs, Mountain Dew + 1 slice of #4 Cheese Pizza for P299 when they dine in. 4Fingers Crispy Chicken Singapore gave its customers the chance to win exclusive invites to the launch of its new store next month. Customers who can guess the location of its new store correctly can win the contest. Chicking India celebrated the return of Big Boss on TV by offering customers a new burger combo: Mexican Grill Burger, French fries, and Pepsi for just Rs. 229. Marrybrown gave customers the chance to win ten RM20 vouchers on Facebook.